General topics / Re: Where the eye goes, can your legs follow it? these verses show that even in those days too, there were bogus Gurus, cheating people and deluding people. We usually say that this is Kali Yuga and that this is the worst yuga among all previous yugas, but a person of discrimination will never say that because, all yugas are the same, even in all previous yugas there were the same amount of goods and evils. It is never so that this yuga is worst and other yugas were better. One thing is that in previous yugas the Asuras were separate people, who used to create trouble in being union with God, but in Kali Yuga, the Asuras and Suras are together as a single human being. In Brihadaranyaka Upanishad, the Asuras, Devas and Suras(humans) were very dissatisfied even though they had everything in abundance, the Devas had lot of money and enjoyments, the Asuras were doing good winning a lot of kingdoms, and the Suras(humans) were also harvesting nice crops. They all felt discontent and representatives of Asura, Devas and Suras went to Brahma and prayed for salvation from their wretchedness and then Brahma uttered three letters Da, Da, Da and vanished. The Asuras, Suras and Devas were confused as to what the words of Brahma meant! Then they returned back to their homes and began to ponder and contemplate on the Holy words of Brahma. And then finally they understood what it meant. For Devas, 'Da' menat 'Daama' - to be content(to show restraint) - to be happy with what ever they have and not crave for more of the same luxuries. Asuras, Suras and Devas had grown discontent because, they became greedy, inhuman and full of pride. and by this they realised the truth of their nature. Those days, we have read in puranas that Asuras used to drop meat in yajnas and homas and spoil the tapas of Sadhus. Today it is our minds that drop in the fowl thoughts and desires that stop us from our performance of Tapas. It is said that truthfulness alone constitutes the spiritual discipline of the Kaliyuga. If a man clings tenaciously to truth he ultimately realizes God. Without this regard for truth, one gradually loses everything. If by chance I say that I will go to the pine-grove, I must go there even if there is no further need of it, lest I lose my attachment to truth. On the same subject, I am reminded another beautiful story. Once Krishna and Arjuna were walking around and they saw some thousands of carts moving in line one after another with full of flowers. Arjuna began wondering, who would want so much flower and for what purpose are they going|? and he began wondering, could it be that some body is performing some big Yajna or something? Actually this was enacted by the yogic powers of Krishna to remove the ego in Arjuna! Arjuna was proud about his close association with Krishna, and it had built up quantities of pride in him about how great he must have been, his bhakti, devotion and love to Krishna. Other pandavas never spoke to Krishna as freely as Arjuna. Arjuna and Krishna kept walking, but the carts full of flowers were never ending, and because of the flowers overloaded in it, it even began to fall. Looking at this Arjuna was perplexed, he wanted to know about this so badly and then he asked Krishna about the details, who is the All knower. Krishna said, "O that? it is Bheema who performing puja for me, he is the one who is offering me all these flowers, and it is only for his puja that so many carts are going"
Arjuna was shocked, he never knew his own brother was performing such big Puja! he felt so little and ashamed about himself. Krishna had said to him, that though Bheema outwardly looked only building his muscles and eating food always, he continuesly meditates only on me. It is true that in ancient India, Sati was practiced with full spirit, i.e. especially in the Rajput cult, the widow jumped into the fire without any hesitation or pain, they were able to do it with the spirit of union with their expired husbands. But people began imposing such acts on others as well to prove their pathivratham. It is only the half baked knowledge people who have created such bad practices, which spread like virus all over India. For example, nobody understood the real essence of untouchability; when yogis were practicing Raja Yoga, they emanated extreme energies in their bodies, and touching them proved disastrous for others, its like touching a electric wire! Do we ever go and touch a live wire? a person could even die or get paralyzed. Thats why through discrimination, this untouching the great yogis came about. The body is said to be a temple and the indweller is the eternal master. Two hours of your search amounts to great meditation. We forget everything else in finding the "paramporul"
Also your post reminds me of Poosalar Naayanar, in whose memory the Siva temple at Thirunindraoor stands. A story that continues doesnâ€™t end in Manâ€™s house. Is this the path? Is this the journey? Dear Subramanian Sir, Siddhar words keeps one thinking, makes one bewildered and what they say really really Hits you. They have a very special way. They are mysterious, beyond the grasp of our minds. Sutta kari suvai than sattuvam ariumo? When the Self is within, how can the installed stone [lingam] speak to you? The taste of the curries, how can the ladle know? Self [Sivam] should speak to you! The sayings of Siddhar break the you in us - Ego/mind/false I. But unfotunately, here in the city, there are very less tamizh resources regarding these saints. Kannadasan's songs have intrigued me a lot. Infact, Karunanidhi had once given him a book of Bhagavad Gita to him, asking him to do research in the work to find out all the loopholes in the Gita and defame it, and hinduism. But Muttaiah read, re read again and again and was lost in love with Krishna and his leelas, he came to be known as "Kannadasan" He became a staunch believer from a declared atheist earlier by himself. 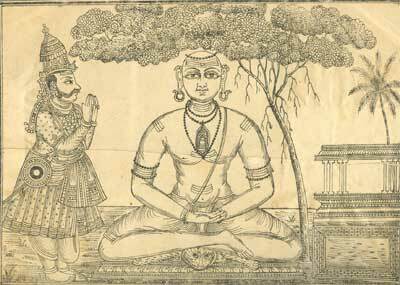 In his early days, The poetry of Thiruppaavai had captured him, its beauty and content, was the earliest works that inspired him. General topics / Where the eye goes, can your legs follow it? This is a beautiful song from Kannadasan, is an excellent song with depth of meaning into reality. I have attempted a very basic translation of the song into english. Hope my translation makes some sense. Where the eye goes, can your legs simply follow it? Where the legs goes, can your mind simply follow it? Where your mind goes, can a man simply follow it? Where such man go, can you forget yourself and follow him? For the ones who donâ€™t change, whatâ€™s the point in living? None like him, the world should appreciate! Control is of two kinds: violent and gradual control. The first of them is done by blockading the knowledge-organs such as eye, ear etc. and the action-organs such as larynx, hands etc. at their respective seats by force. A deluded man, by this instance, wrongly thinks that in this manner he shall control the mind also. But the mind cannot be controlled in that way, since its centre - the lotus-like heart is impossible to control. Therefore, gradual control is justified. The means to gradual are the study of the knowledge of the Self and others. This science of the Self gives rise to the conviction of the unreality of all knowable things and the Knower as the Self-evident Reality. Having been convinced thus, the mind finds knowable things, that are within its purview, are useless, and realizes that the Knower, although an useful thing (Reality), is beyond its grasp, and dissolves of its own, like the fire without fuel - (Bhagavan says Camphor). Vidyaranya advises us a gradual and holistic movement in our sadhana with determination. Some are blessed by virtue of their past lives and hence they do not have any need to change their sadhanas, but some are required to experiment each ways until they are blessed in their path. Thats a wonderful quote, So true to our times. We all would have heard about this small story, a person sees a bunch of people running fiercely, a perplexed person who watched the group run by asked them, "Where are you guys running to, like this?" and one of the persons who was running said, "I don't know, I saw them running and I also started running behind them!, Com you also join us!" A very basic question we need to ask ourselves is that are we able to live the teachings that we have read, re-read, mastered so far? Are we able to? Do we have a genuine peace of mind? without a pinch of doubt?